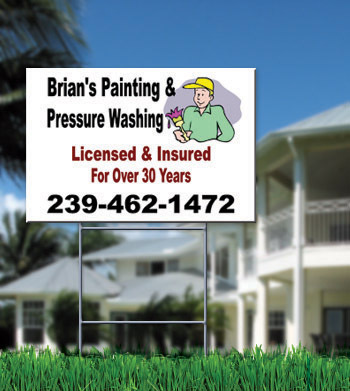 Yard Signs are an Exceptional and Cost Effective Way to Advertise! Priority Sign can create highly visible and durable yard signs on 4mm white, corrugated plastic, with bright and colorful lettering, in either single- or double-sided styles. Our yard signs are 24" X 18".